LONDON, Sporting Alert – Arsenal team news and transfer updates ahead of the English Premier League north London derby clash against Tottenham on Sunday. 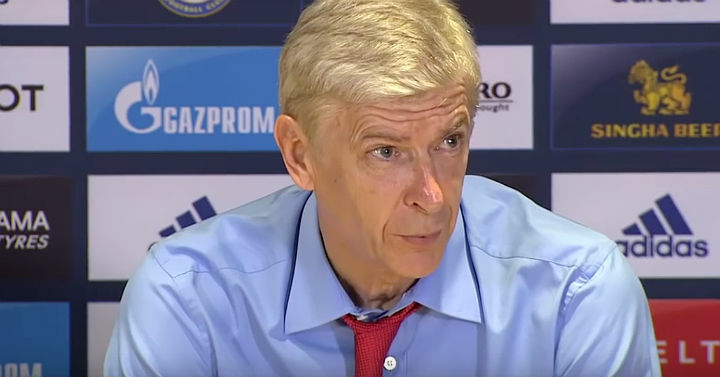 Gunners manager Arsene Wenger revealed the latest updates on his injury players, following the Champions League defeat to Bayern Munich, while ruling out a certain player joining Arsenal in the near future. After missing the midweek 5-1 defeat to Bayern Munich with an injury on Wednesday, centre-back Laurent Koscielny could be available for Sunday’s game. However, the Frenchman will undergo a fitness test on his hip, but Wenger says the 30-year-old is 80 percent, but added that Hector Bellerín and Mikel Arteta are doubtful. “From the unfortunate Wednesday night, we have no injuries. Players back for Sunday, we might have Koscielny and I think that it is,” Wenger said on www.Arsenal.com. “He will have a test tomorrow. [He’s] 80 percent. Meanwhile, Wenger has ruled out signing England international Harry Kane, claiming that the Tottenham striker has never been on his radar simply because he’s a Spurs player. Arsenal will certainly want to bounce back from the Champions League drubbing at Bayern Munich on Wednesday as they seek to stay in contact with leaders Manchester City and keep away the likes of Leicester City and Manchester United who are both in the top four as well. Tottenham, in the meantime, will make the trip to the Emirates Stadium on the back of a 2-1 victory over Anderlecht in the UEFA Europa League on the road. Kane warmed up for the clash with a goal, and the England forward who is finally finding back his goalscoring form, could be a handful for Arsenal.